Born: March 3, 1869 in Sandwich Ma. Died: September 18, 1950 in Bourne Ma. 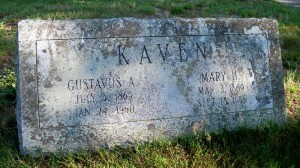 at 81 yrs, 6 mos, 15 d.
Married: April 4, 1900 in Watertown Ma.